West Indies icon Brian Lara picked India as the favourites entering the 2019 World Cup in England and said he would like to see a repeat of the 2017 Champions Trophy – a final clash between India and Pakistan. 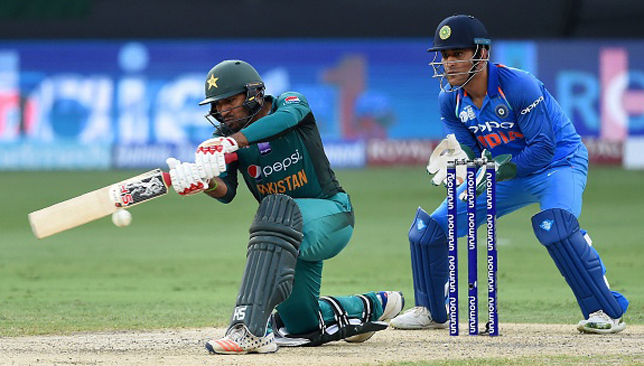 While sporting relations between India and Pakistan have reached an all-time low following escalation of political tensions between the countries, West Indies batting legend Lara nonetheless hoped for another clash between the arch rivals at the biggest stage – the World Cup final. Speaking to media at the Global Education and Skills Forum in Dubai on Sunday, Lara said the unpredictable English weather makes it really difficult to pick any clear favourites, but still backed India and Pakistan to shine. He however, was not so sure about tournament hosts and top-ranked England. “The World Cup is going to be very dependent on weather. The English weather, you never know what it is going to be like,” Lara said on Sunday. Lara picked Virat Kohli‘s India as favourites for the World Cup, stating that India are now a ‘world’ team capable of winning anywhere. “I feel India have a good opportunity. Indian players are now ‘world’ players. Fifteen, twenty years ago, they were very strong in India. Now they are capable of playing all around the world. India start as favourites ,” the former captain added. And while Lara expected a resurgent West Indies to mount a serious challenge, he did wish for a blockbuster showdown between the subcontinent giants. Rishabh Pant was poor behind the stumps in Mohali. 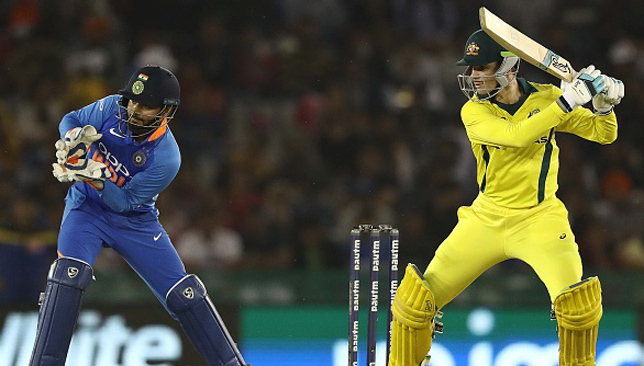 Rishabh Pant had a forgettable outing behind the stumps during the fourth ODI between India and Australia in Mohali, with his shoddy glovework costing India dearly. The Indian fielding in general was abysmal under lights as heavy dew meant bowlers and fielders struggled to grip the ball. But Pant’s shortcomings as a gloveman came to the fore, highlighting the importance of MS Dhoni the wicketkeeper in India’s ODI plans. Dhoni has been rested for the remainder of the series and the Indian management would be deeply worried about Pant’s keeping standards. His first major mistake came in the 39th over with Peter Handscomb having just reached three figures. He missed a straightforward stumping opportunity off Kuldeep Yadav and that mistake cost India 12 more runs. Then when Ashton Turner, who turned out to be the match winner for Australia, was batting on 38, Pant missed a stumping chance down the leg side off Yuzvendra Chahal. Turner ultimately made an unbeaten 84 off just 43 balls to seal Australia’s victory with ease. In the same 44th over, Pant gave an overthrow while attempting to run-out and the next ball, called for a review for a caught behind off Turner, which was duly turned down. By that time, the Mohali crowd had turned on Pant with chants of ‘Dhoni, Dhoni’ reverberating across the ground and in the mind of Indian players. With Pant’s forgettable night behind the stumps, it is clear India need Dhoni with the gloves and as a guiding hand to help the bowlers no matter how slowly he scores his runs. MS Dhoni at the Ranchi ODI. Veteran wicketkpeeper batsman MS Dhoni has most likely played his final ODI in India. 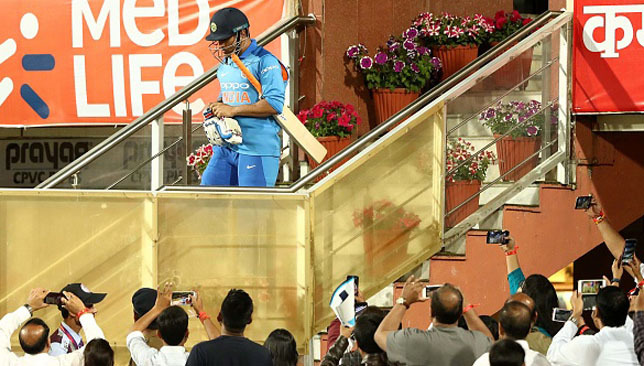 The third game of the five-match ODI series against Australia in Ranchi was a special occasion for Dhoni as he was playing in front of his home crowd. Already there was speculation that it was probably Dhoni’s last ODI, maybe even international game, at home. The game ended in defeat for India as Virat Kohli’s ton chasing 314 went on vain. Dhoni himself could only manage 26 off 42 balls as India fell short by 32 runs. After the match, batting coach Sanjay Bangar revealed Dhoni will be rested for the final two ODI matches of the series with Rishabh Pant set to take over. With the IPL set to start on March 23 and the World Cup soon after, it seems the Ranchi ODI was it was Dhoni in India as far as ODIs are concerned. How long Dhoni continues in international cricket after the World Cup in England remains to be seen; the veteran quit Test cricket and gave up captaincy before being pushed to do it.